Vadim Imperioli, 19, the son of actor Michael Imperioli, was charged charges of criminal mischief for spray-painting the Nazi symbol on a bulletin board on Nov. 21. College officials said Nov. 21 that they were investigating the painting of swastikas in a dorm the day before. The vandalism was discovered on a bulletin board, according to Betsy Aldredge, a spokeswoman for the college. A second incident in the same time-frame involved the scrawling of "Black Lives Don&apos;t Matter" somewhere on campus; that incident is still being investigated. The chief’s email did not name Imperioli or give other specifics, and the college spokeswoman declined to provide details. 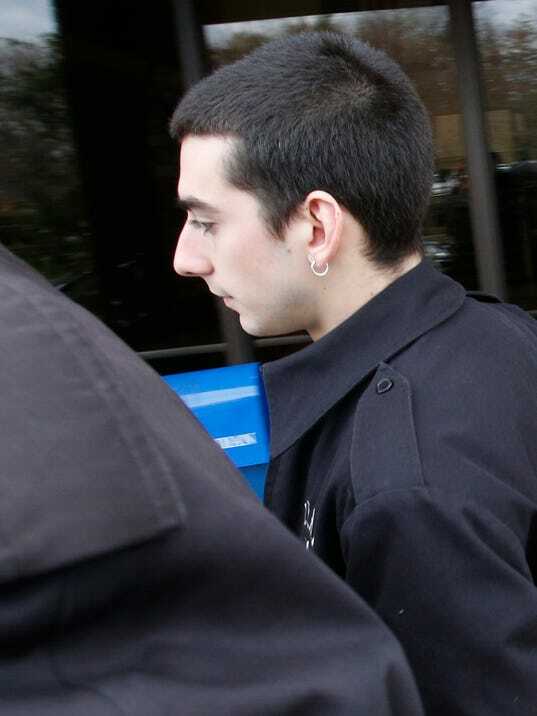 Here is the pic of Vadin Imperioli, the accused NAZI.